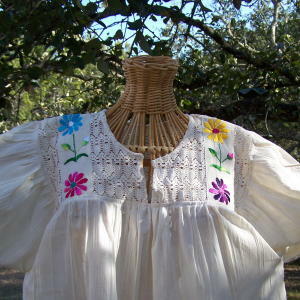 This flirty breezy peasant blouse comes in white cotton, with hand-embroidered flowers embeded in the lace. It is a large free-flowing blouse that can go anywhere, day or night. 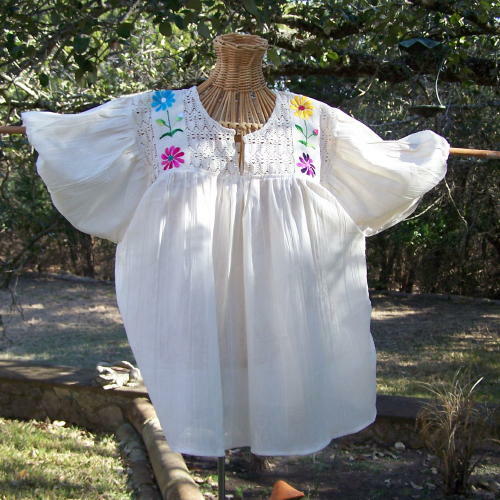 A traditional Mexican peasant blouse for the mercado or the movies. Your blouse will come with some combination of these flowers.